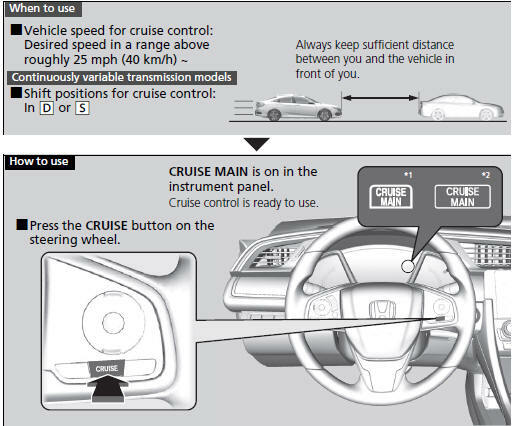 WARNING Improper use of the cruise control can lead to a crash. While in ECON mode, it may take relatively more time to accelerate to maintain the set speed. When the engine speed slows down, try to downshift. You can maintain the set speed if you change gear within five seconds.